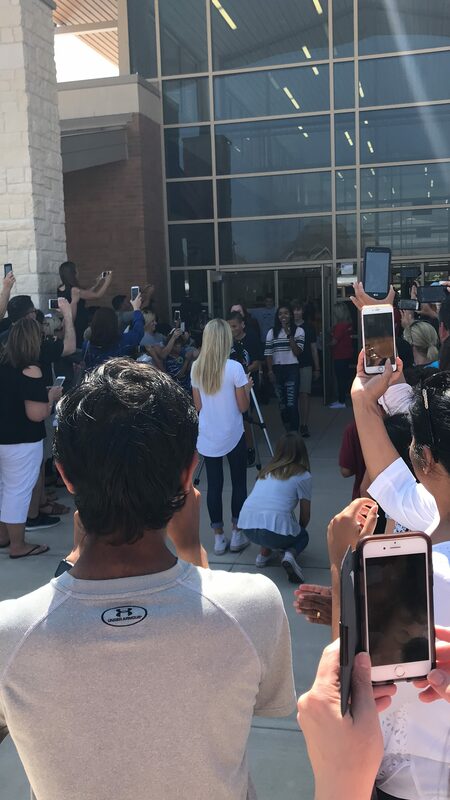 Parents gathered outside of Trent, waiting on the Class of 2022 to emerge. 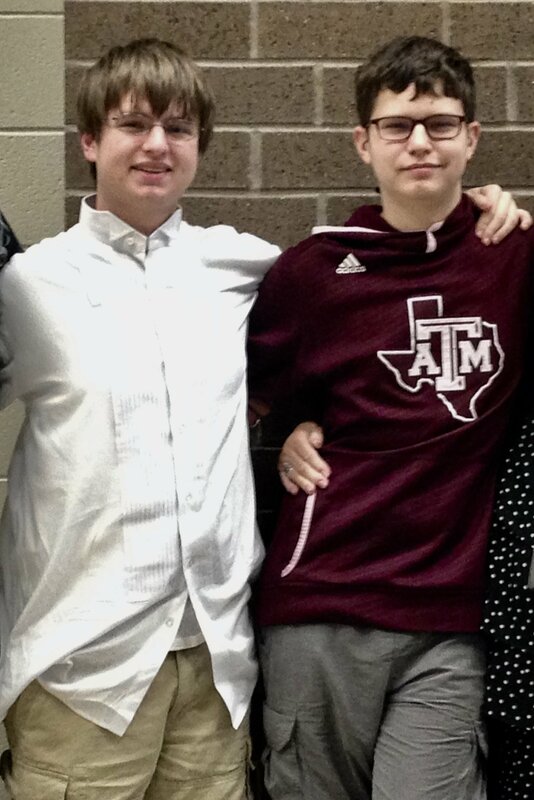 On Friday – the last day of school – Matthew took his “8th grade walk”. It’s a tradition that we first learned about when Peter did his at Stafford Middle School three years ago. 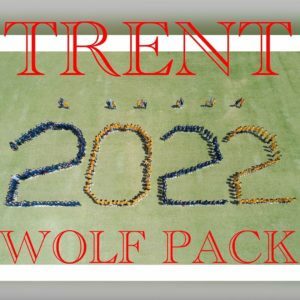 When Trent Middle School opened, and Matthew was sent there instead of Stafford, I was afraid the traditions would be different, but this one, at least, remained the same. So, what is 8th grade walk? It’s sort of like a mini-graduation from Middle School. At the end of the last day of school, the 6th and 7th grade students line the hallways. The staff gathers in the foyer, just inside the doors. Then the 8th graders take a final walk through the halls, to the cheers of the students. Next, they pass the staff, giving them high-five’s and fist bumps and hugs. Finally, they step outside the school, to the cheers of the parents waiting for them. 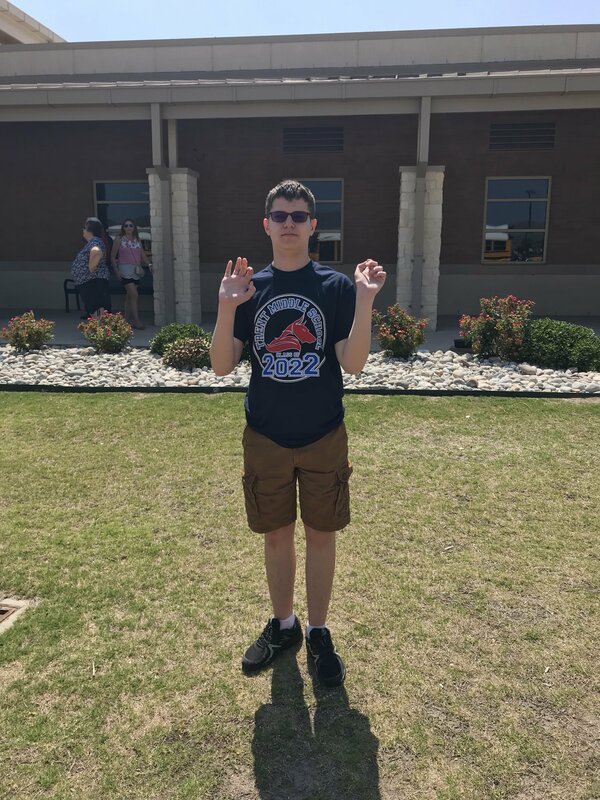 After taking his “8th grade walk”, Matthew was ready to go home and start his summer vacation!!! It is a very emotional event, watching your 14-year-old step outside of the school he will no longer attend and know he is now officially a High School Freshman. But with Matthew, it was a whole different kind of emotional. It’s why, as I write this, the tears are gathering in my eyes all over again. Because Matthew has been through some really tough stuff, and yesterday, he reminded us all that he’s a survivor. He’s tougher than his autism and tougher than the challenges he faces every. single. day. of. his. life. 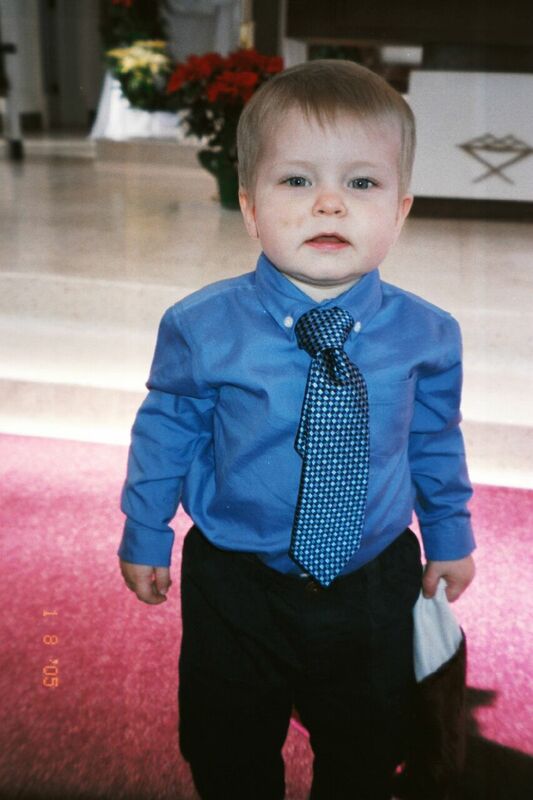 Matthew, age 2, at Will and Meredith’s wedding. I remember the fear I had that something was very wrong with Matthew as a toddler. He didn’t speak much, preferring to let his big brother speak for him. He didn’t respond to crib and room time outs like his brother and other children his age. He got angry for reasons I couldn’t understand, and his anger grew to rage when I tried to stop his screaming and hitting and biting. He reacted to swats on his hand or bottom like he had been beaten but without ever showing remorse – just anger. He had to be kept home when he started biting the other kids in the nursery at church. He refused to potty train, and thus created a lot of stress for me and the poor women who worked at his Mother’s Day Out program when he was three and four years old. In fact, we changed to a different MDO every year, thanks to the bridges he burned. And so it was with great optimism that I sent Matthew to Kindergarten at Boals Elementary, where Peter was already in 3rd grade. I got my first call from the school that day, though it would hardly be my last. 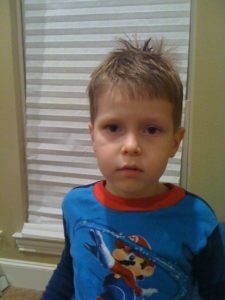 Matthew had stepped on the playground for his very first recess, saw a kid looking at him in what he perceived was a threatening way, and punched him in the face. So much for all the optimism. Things went downhill from there. Matthew refused to sit in the circle during circle time. He colored on all the teacher’s pretty boxes and hit, pinched and bit other kids. He was sent almost daily to sit against the wall in the classroom next door. He was miserable. His teachers were miserable. And I was sick with worry. We took him to play therapy that year, but it didn’t help at all, since there was no way to recreate the stress of the school environment and one-on-one, Matthew was fine. Matthew turned 6 just a few days after he started Kindergarten. 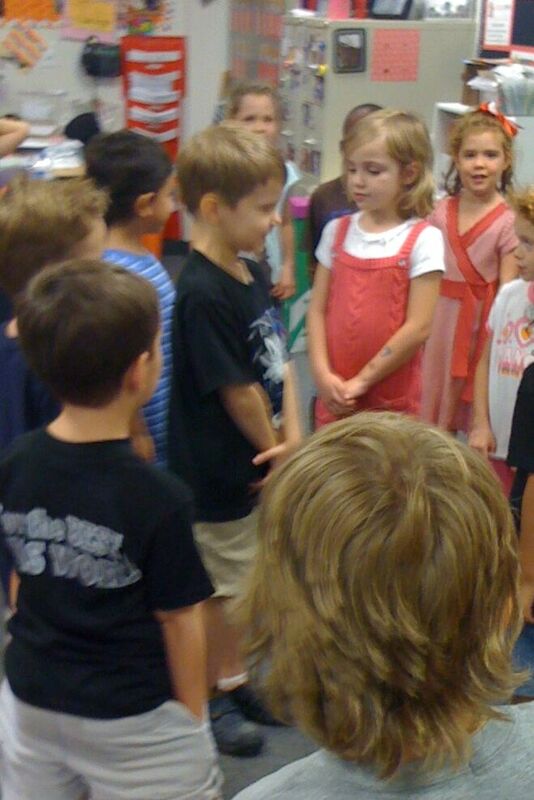 Here he is in the middle of a circle of classmates while they sang to him. In 1st grade, things actually got worse – something I didn’t think was possible. They put Matthew with the toughest teacher in the school (she’s now the PE coach) in the hopes that he would fall in line with the discipline she instilled in her class. Instead, he was sent to the principal’s office almost daily, which meant I was getting phone calls from the school. All. The. Time. 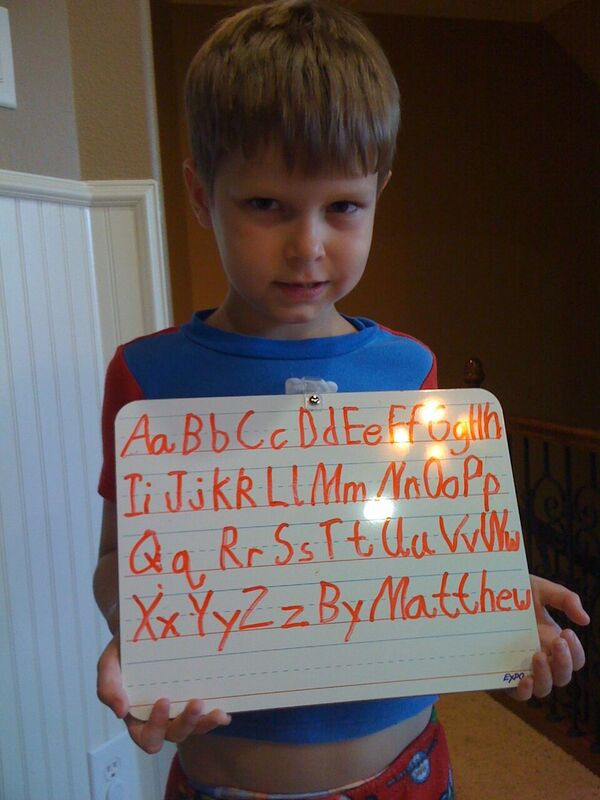 When Matthew got in trouble in class, he would have to sit at a lone desk in the Assistant Principal’s office and do his work without speaking to anyone. And he loved it. He was bored, but at least it was quiet and he could work at his own pace. 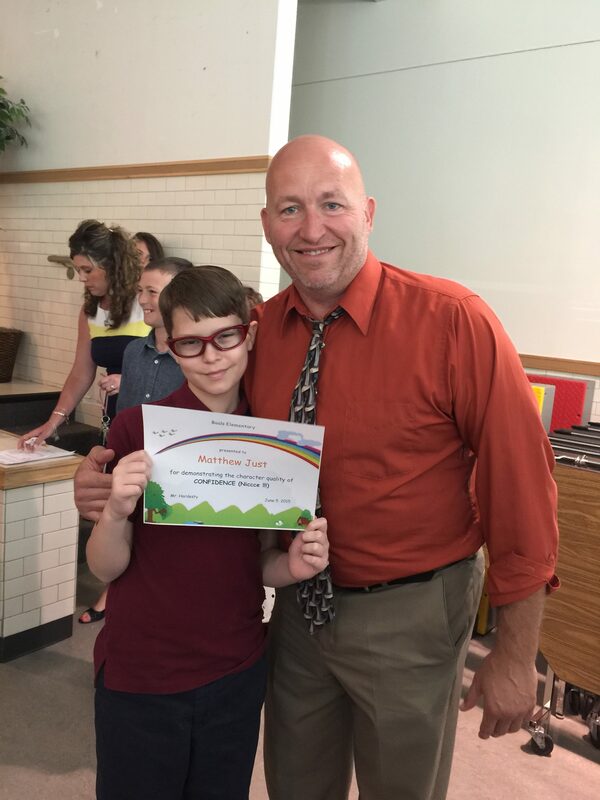 Mrs. Beran – then the AP and later the Principal at Boals – learned that Matthew was brilliant, completing his work in record time and then drawing until he had to return to the classroom. She also had a lot of conversations with him about his behavior, and came to love him, despite the headache he caused her. When Mrs. Beran told me Matthew’s behavior had to change, or we would be looking at alternative school, I was terrified, but Matthew was more so. He seemed to really regret his behavior but just couldn’t hold it together in that environment. 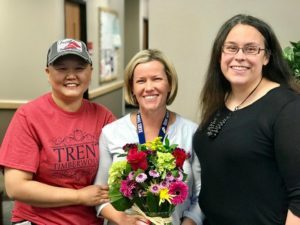 We tried everything, working with the school and the therapist, but in the end, it was Mrs. Beran submitting Matthew to the Student Success Team that changed our lives. The SST is made up of a few select teachers and administrators, as well as the school psychologist. 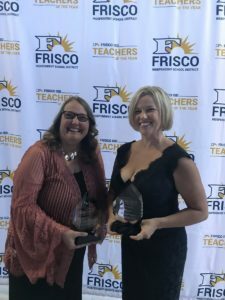 Their job is to review problematic students and work together to figure out a solution to whatever challenges the student seems to be facing. Matthew’s 3rd grade teacher who called me crying after the first week of school. Now she has to have a picture with him every time she sees him. They met during the Fall semester and began observing Matthew and interviewing his teachers. A few days into Winter Break, I got a phone call from the school psychologist. I had never even met her before. She called me from Virginia, where she was spending the break with her parents. Her first words, after introducing herself to me, will be forever seared on my heart. She said, “Have you ever heard of Asperger’s Syndrome? 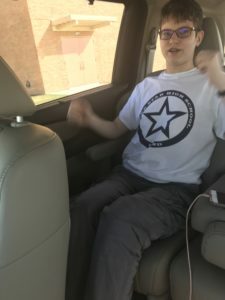 I’m almost 99% sure Matthew has it.” We talked for a while, then she told me that the district autism team would be called in to do a full evaluation of Matthew, to see if he qualified for services. 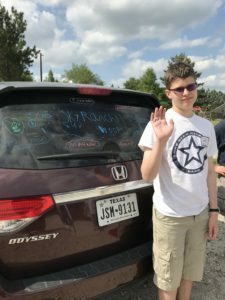 Those services would include Matthew being admitted to special education and assigned a full-time case manager, who would work with us and his teachers to create an individualized education plan for Matthew. Asperger’s Syndrome – now usually referred to as “High-Functioning Autism” or just “Autism” – is “a developmental disorder characterized by significant difficulties in social interaction and nonverbal communication, along with restricted and repetitive patterns of behavior and interests.” (https://en.wikipedia.org/wiki/Asperger_syndrome). • awkward movements and/or mannerisms” (https://www.autismspeaks.org/what-autism/asperger-syndrome). Along with autism comes a variety of sensory issued. Matthew is sensitive to loud noises (thus the fire alarm going off at his pre-school was terribly upsetting to him). He is extremely sensitive to touch, and I always tell him he’s like a cat – willing to rub up against you if he’s in the mood but hates being touched when he doesn’t initiate it. He gets headaches from bright lights and is tired a lot of the time – probably from having to manage all the stimuli. And he is more bothered by smells than any of us and frequently has to deal with a bloody nose, possibly from thin membranes inside his nostrils. All of this adds up to a lot of frustration in school, where everything stinks and everyone is noisy and often forced to be in close proximity to one another, and the lights are bright all the time. He’s also perpetually cold in school, which is why he is well-known for his heavy coat with a hood, worn every single day we allow it WITH A HOODIE UNDER IT – even if it’s 100 degrees outside. He actually told me once he considered his coat his “armor”. So, yeah, the diagnosis fit Matthew to a “T”. I will never forget how stunned I felt after coming to terms with Matthew’s diagnosis. Shame, guilt, grief and sadness were all part of the emotional rollercoaster I was on after talking to the psychologist on the phone that day. But there was another emotion – hope. I felt hopeful for the first time in years. Matthew with Ashley Dekker, his case manager through most of Elementary School. And so, within a month, he was officially diagnosed and put into special education, where he was able to receive training and help. We saw our pediatrician about medication, and he began taking Intuniv, a medicine that helps with impulse control. And with the help of some truly wonderful teachers and staff, Matthew improved. 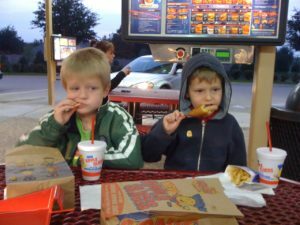 Using a system of rewards and consequences and things like sticker and point sheets, Matthew learned how to ask for help when he got upset, and the staff learned how to anticipate what would set him off. He was given a desk apart from everybody else, with blinders that made it feel quiet and separated. He was allowed to nap in the resource room, in a tent they brought in just for him, with a white noise machine in it and a sleeping bag. Matthew with Mr. Hardesty at the end of 5th grade. That was his last year as a teacher. Best of all? I stopped getting daily calls from the school. 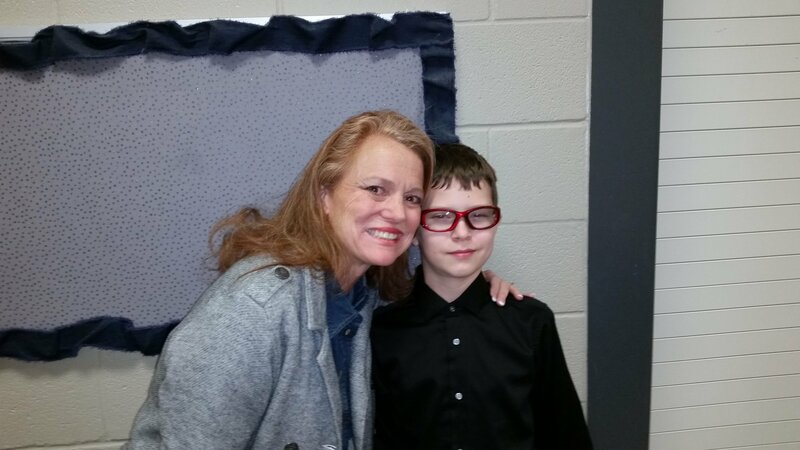 In fact, his 4th grade teacher loved him so much, he moved to 5th grade with Matthew, so he could teach him for another year. But all good things came to an end when Matthew graduated from Elementary School and moved to Trent Middle School. 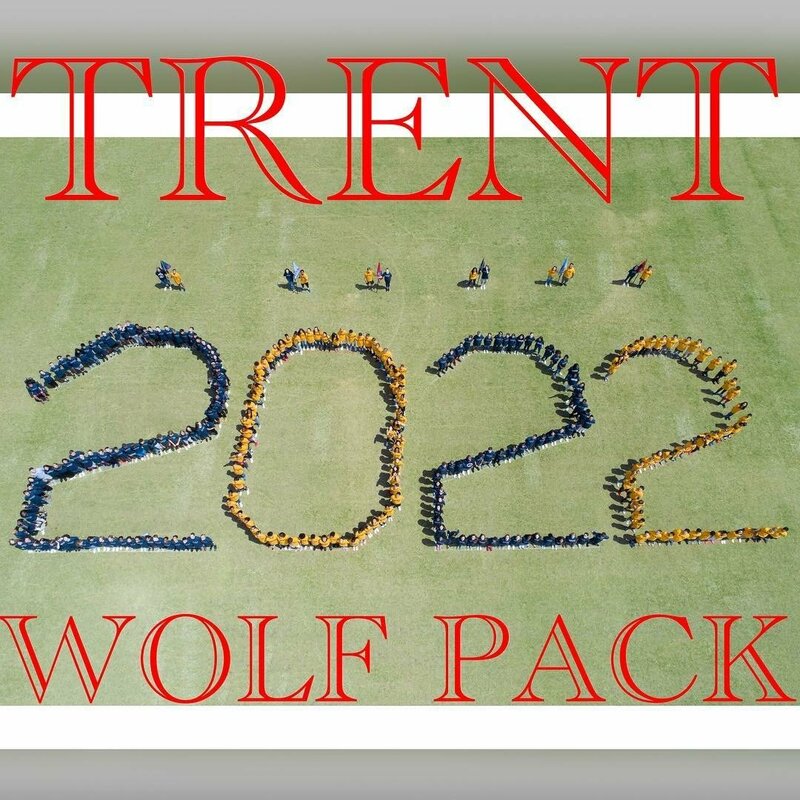 Because Matthew’s class “opened” Trent, there was a lot of chaos and transition that was still going on when he started 6th grade. We didn’t even have a representative from the Middle School at Matthew’s ARD in 5th grade, which meant we were flying blind when it came to setting up his accommodations for Middle School. There was no one to prepare us for the huge transition ahead, and no one to help Matthew make the huge leap to Middle School. We saw a huge regression in him that year. He went back to hitting kids and getting in trouble constantly. And I was pulling my hair out over the lack of support he was getting from his extremely incompetent case worker. The woman had not even read his paperwork when the school year started and admitted after the first few incidents that she was unfamiliar with the accommodations he was supposed to be receiving! 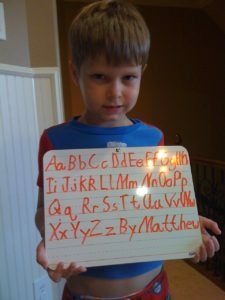 The incident that pushed me over the edge happened after Matthew had consistently struggled with working in groups. He has never been a real “team player” (see definition of autism, above), and having to figure out the give and take of a group was beyond him. Add to that the chaos and lack of structure during “group time”, and we was a ticking bomb, waiting to go off. So despite the kids being told not to sit at his desk or mess with his stuff, one day close to Christmas break, Matthew walked back to his desk and there was a boy seated in his chair. The teacher had stepped out of the room, so there was no one to help when Matthew asked the boy to move and he refused, telling Matthew he needed to grow up (or something like that). Matthew responded by yanking the chair out from under the boy, causing him to fall to the floor. Matthew’s case manager called me and was very upset with Matthew. She admitted that she threatened Matthew, telling him that if the boy had hit his head and cracked his skull, his family could sue our family and take every penny we had. Vicki Baughman is the one in the center, holding the flowers. After that, I had enough. I requested a meeting with Vicki Baughman, head of the special ed department at Trent. And the minute we started talking, I knew she was the one who could fix everything for Matthew. And she did. She told me she was taking over as Matthew’s case manager, effective immediately. 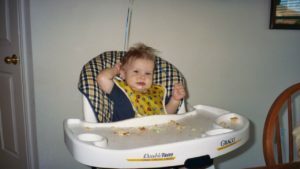 Vicki began to make the changes Matthew needed to help him learn how to manage his emotions, to learn impulse control, and most of all, to mature as an individual. He was never required to do group work again, but chose to from time to time. 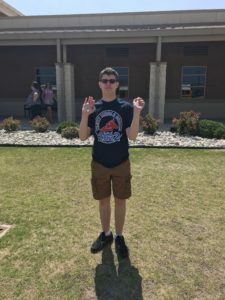 He was given the freedom to leave any environment he was in at school if he started to feel himself “escalate” or get angry, and walk to the resource room, where the special ed teachers all worked. If Vicki wasn’t there, one of the other teachers would help him cool off and work through his emotions. And thanks to Vicki, he was able to do an alternative PE in 7th grade. Also thanks to her, Matthew took a social skills training class in 7th & 8th grade, and despite him saying he never learned anything from that class, I have begun to think Matthew has the best manners of anyone in our family. When he meets someone new, he sticks out his hand, makes eye contact, and introduces himself. Yes, it’s a script, and yes, he seems stiff and somewhat awkward, but people respond to that better than the kids that don’t bother to speak or introduce themselves. 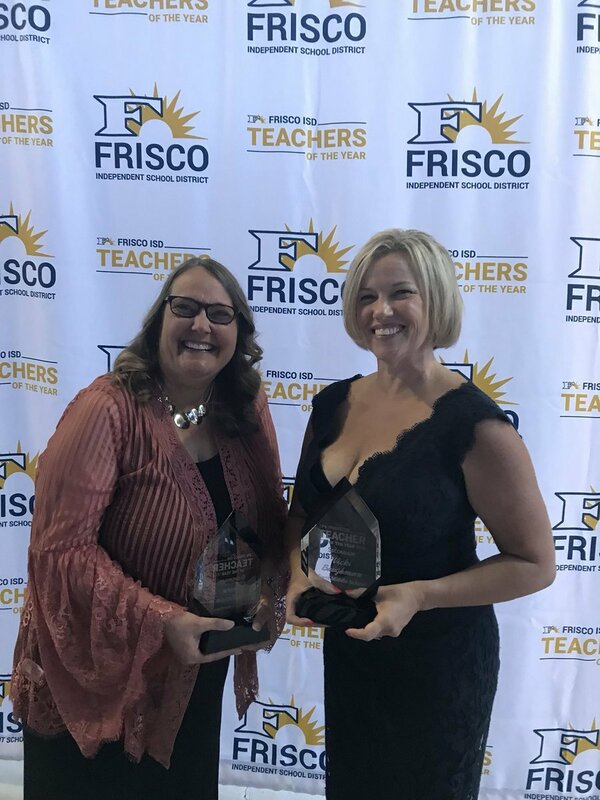 Vicki (on Right) won secondary teacher of the year for Frisco Independent School District this year!!! 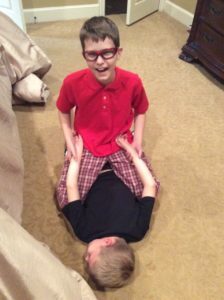 His Social Skills teacher, Mr. Black, also began having weekly game days, where Matthew and a few other kids stayed after school to play board games with him. Matthew LOVED these times, and learned a lot about how to interact with others even while remaining competitive. He’s now a part of a group of boys that meets at a friend’s house in our neighborhood to play DnD – Dungeons and Dragons. And before you judge the game too harshly, know that 1) I have looked into it extensively and haven’t found anything demonic about it and 2) It’s a board game in an era of digital gaming. It’s one of the only things Matthew enjoys doing that doesn’t involve a screen! By the beginning of 8th grade, Matthew quit needing breaks from class almost completely. Vicki had him run the meeting she usually has with his teachers prior to the start of a new school year, and they were able to ask him questions about what works best for him. 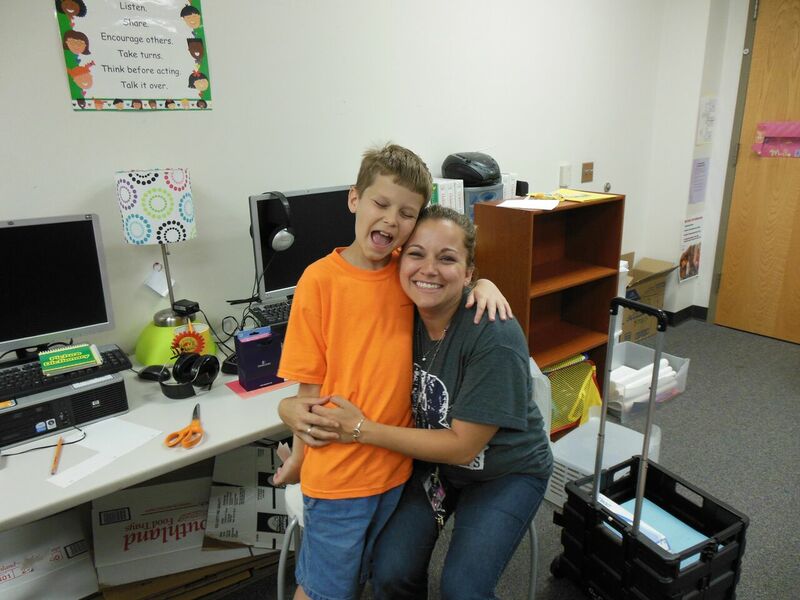 He was nervous, but it made a huge difference in his relationship with his teachers. 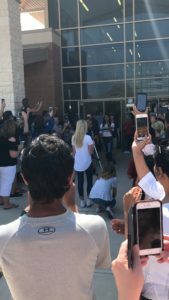 When the Texas Education Agency (TEA) sent out a team to each region, to interview parents and kids with special needs in order to create a new plan to present to the U.S. Department of Education, to prove we are in compliance with the I(ndividuals) with D(isabilities) E(ducation) A(ct) of 2004, Vicki selected Matthew to go as a Middle School representative, though most of the students were older than him. He answered questions and gave opinions about what the state could do to better serve students with special needs. So to sum it up, Matthew has gone from being suspended from school for a day in 1st grade, with talk of alternative school, to being a student representative from our region to the state. He went through his entire 8th grade year without. a. single. incident. Let me repeat that: not one time last year did he get into an altercation with another student. But it’s so much more than that. Matthew has developed a sensitivity to other people’s emotions. He has become an expert in reading people’s body language. And he has learned how to recognize his needs and ask for help meeting them. 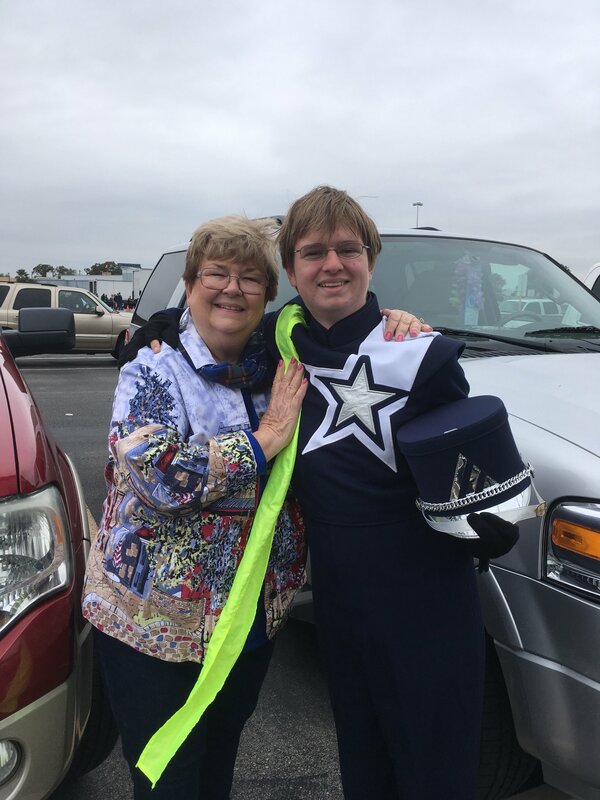 This boy – this young man – is taking on marching band next year. Not only that, he’s going to learn how to play a new instrument – the mellophone – for marching season. He is spending a week at summer camp for the fourth year in a row – the only one of our kids to go to camp this year. He is one of the bravest people I know, and he is an inspiration to me. I can’t believe how much he has changed, and I can’t wait to see how God is going to use him in the years to come. 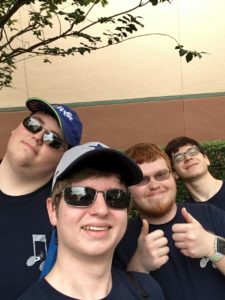 Tonight, the two older boys had High School Band Night, where next year’s band gathers to meet the director, learn a little about how to march, and get the music for the show they will perform next Fall. Peter was coming from the CTE on the bus (his “A” day schedule), so he wouldn’t arrive until 5pm. It started at 4:30pm. That meant I had to drop Matthew off alone at the High School band hall, knowing he would be there without Peter for the first half hour. As I watched him walk in with his trumpet in hand, I felt…panicked. What if he can’t handle it? What if he gets upset? He’s only 14 and he’s autistic. Who will be there to help him if he needs support? In my panic, I called Brad and he reassured me that Matthew would be fine. So I relaxed and tried not to think about what was happening at the High School. It helped knowing Matthew had his phone and could text me to come get him if anything happened. At 7pm, Brad and I drove over for the parent meeting with the new director. After it was over, we met up with the boys outside the gymnasium…and they were both ALL SMILES. I knew immediately everything was going to be okay. They told us that apparently, everyone who already knew Peter was astounded at how much Matthew sounds like Peter (???). They kept having Peter say a word, then Matthew say the same word, then hooted over how you couldn’t tell them apart based on voice alone. Peter also looked over at one point and just started laughing as a bunch of his buddies were surrounding Matthew, looking for dirt on his older brother. Matthew reported being tired, but he was seriously so happy, I could have danced a little jig (except I’m not allowed to dance or sing in the presence of my teen boys – they officially banned it years ago.). All is good in my world tonight. This entry was posted on May 29, 2018, in Uncategorized. Well, we are back. Last week was CRAZY. The band left Tuesday, to the cheers of the entire school. We (Brad and I) left shortly after the band and arrived in the late afternoon in San Antonio, where we met up with my mom, my sister, my brother and his whole family for dinner at Alamo Cafe. We then hit the sack early as Brad had to meet the field crew downstairs at 7:30AM Wednesday. Mom and I left later, just in time to see the band perform. 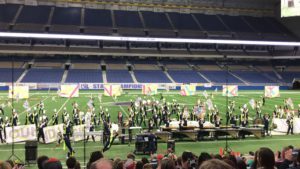 At 10:30AM, we took the field in the 5A UIL State Marching Band Competition!!!! In a speech Mr. Golden (Peter’s band director) gave to the band on Thursday, he talked about that moment when they walked through the tunnel and entered the Alamodome as one of his greatest memories. For me, the moment I will never forget was at the end of their show, on their very last note, they all look up at the judges with this “I dare you!” look on their faces. I was overwhelmed with how amazing their performance was – among their best ever for sure – and then I looked over and saw tears rolling down my mom’s face. 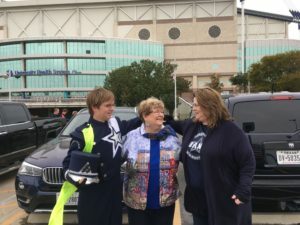 It was her first time to see Peter march in person, and it probably wouldn’t have happened if they hadn’t made it down to San Antonio. There’s was just something about seeing my mom love my kid that touched my heart. We had no doubt we would be among the top 10 bands to make it to the finals. The long and the short of it was that if we had been ranked four places higher by any one judge, we would have made it into the top ten. If they had adopted a scoring system where the highest and lowest scores were dropped, we would have made it into the finals. 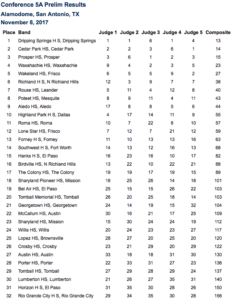 And if the judge from Harlingen ISD had not ranked us 21st, we would have easily made it into the top ten, and according to Mr. Golden, a lot of sources have told him we would have easily placed in the top 5 in the finals. But as you can see, we weren’t the only band with one judge who just didn’t like our show keeping us out of the finals. The band that placed 11th suffered a similar fate. 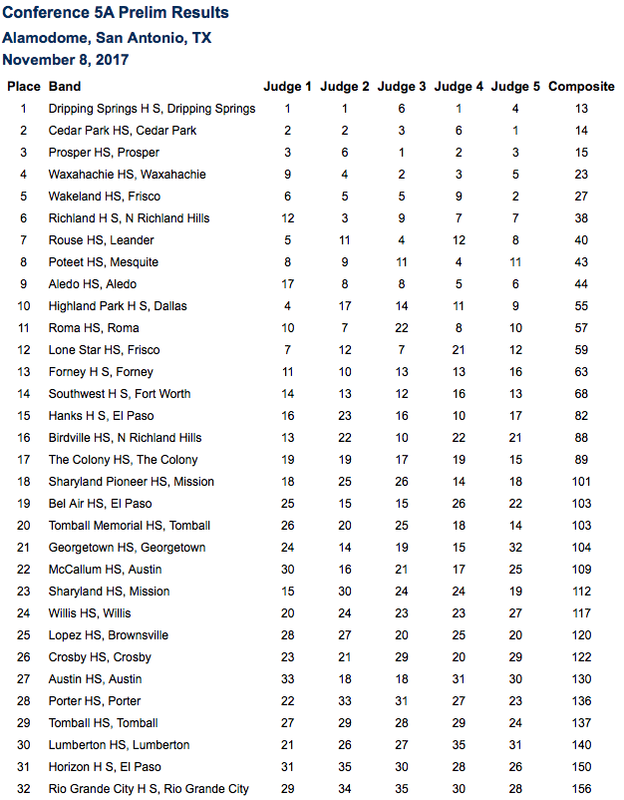 And when it’s all said and done, placing 12th in the entire state of Texas in class 5A isn’t that bad, especially for a school that opened 8 years ago. Back to the day of competition…after taking a group picture and after the drum majors were interviewed, the band went to put away their horns and headed back to the buses to change out of their uniforms. On the way to the buses, we were able to catch Peter for just a second. And we were able to snap a few pictures . 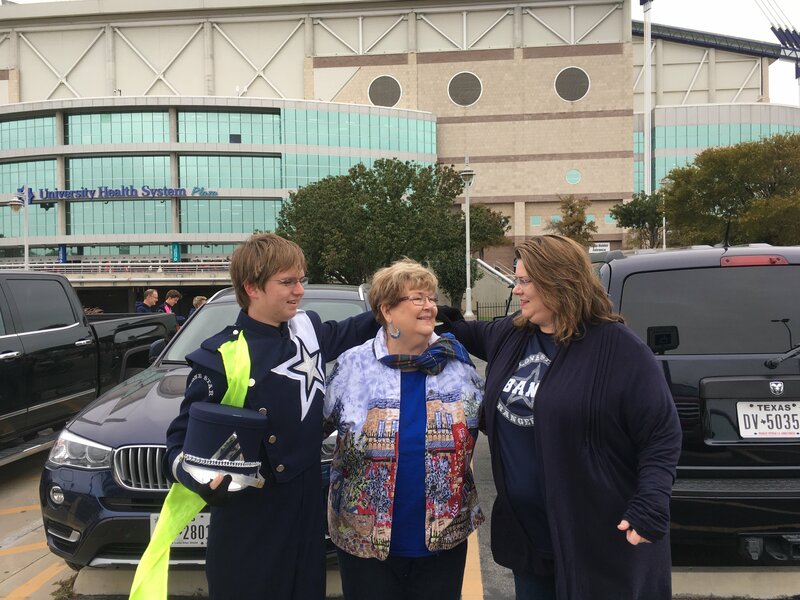 I love these pictures because of the look of pure joy on Peter’s face, combined with the obvious closeness of my mom and my oldest child. This entry was posted on November 12, 2017, in Uncategorized. During the first of the three “movements” or parts of the show, watch the drum majors. The one in the middle, Megan, will change from 4/4 to 3/4 time and back again several times. That’s because the band is actually playing in two separate time signatures!!! It’s one of those things the judges will notice even though most people in the stands won’t. The theme, Boundaries, is not just because the band is separated into two parts. They actually “cross boundaries” multiple times during the show but you have to be watching to catch it. For instance, Mason Martinez, a drum major, plays with the saxophones during their quintet and later on, several of the flags switch places with the band members. Toward the beginning, notice that the drum line removes their drums and runs over behind the props. 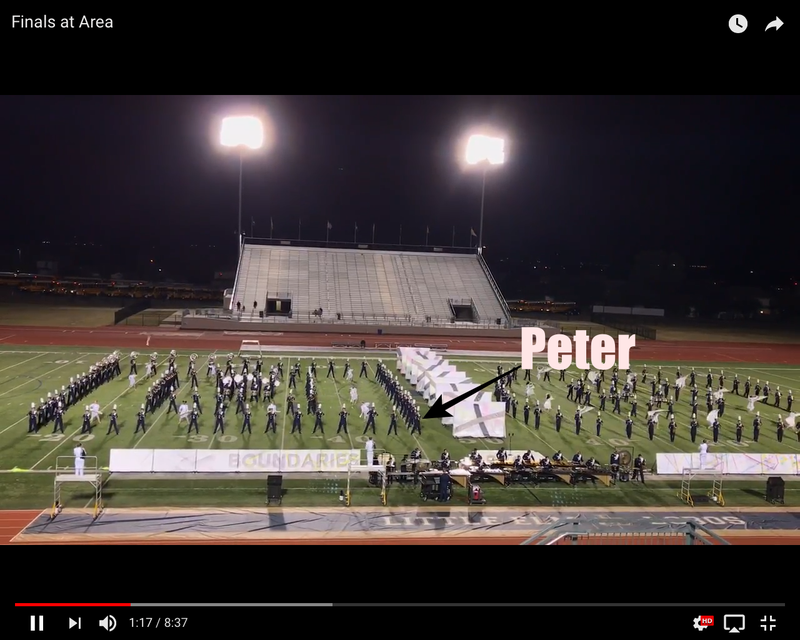 This is another “boundary crossing” that was planned, but what they didn’t know was that during that section, when the big props are in front of the brass on the left hand side of the field, no one can see the drum majors! The solution? One of the drummers, hidden by the banners, faces the band and directs them through that section! Instant drum major! When the saxes go up for their quintet (about 3 minutes into the video), there are actually 7 that march over. Two of the seven, instead of going up onto the stage, duck behind the stage. They are the two bassoon players that have a soli after the saxes are done! When the band turns their back, they let the yellow sashes down out of a little hiding place in their uniforms. (The band parents made all the sashes, as well as all the banners and props!) Peter told me everyone cut the fingertips of their first finger and thumb of their gloves out so they could grab the sash without having it stick to their gloves. At one performance early on in the season, Peter tried to help someone whose sash had not unrolled completely by grabbing it when his back was turned to the audience. The whole thing fell off and ended up on the ground!!! Peter felt awful. At the Wylie contest, the percussion judge placed our band first in both the prelims and finals, and our percussion section won the prize for best in show for both! During the announcements after the finals performances last night, I was home with Matthew and Samuel. (Brad was on loading crew, so stayed with the band. It was too cold to keep the other boys out that late so I brought them home.) Peter wanted to share the experience with us, so he FaceTimed us during the announcements. 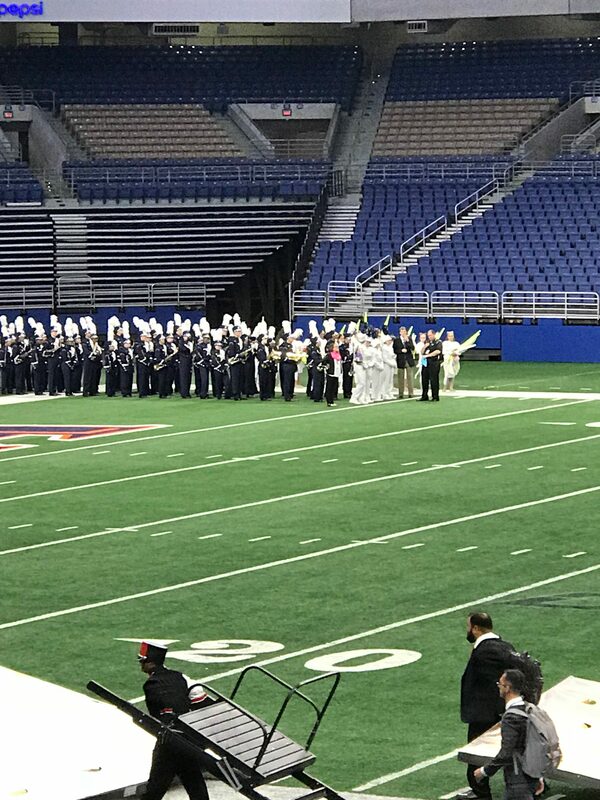 Because Lone Star placed Fourth in the prelims, and the order rarely changes from prelims to finals, the announcement of Southwest HS in Ft. Worth for Fourth place, really scared our band. You could have heard a pin drop. But when they called out our band for Third place, our kids just went NUTS. It was so much fun to watch. Part of the reason I have been so excited about all of this is not just for Peter’s sake. I was a Senior in 1988 when our band – Pearsall High School Marching Band – went to State in class 3A. We made the trip to Austin as all the state finals used to be held at Memorial Stadium on the UT campus. (Also, all the classes participated every year, rather than every other year like it is now.) I played mellophone and had a big solo during “Starlight Express,” our ballad. We made it into the finals, then placed first in the entire state that year. 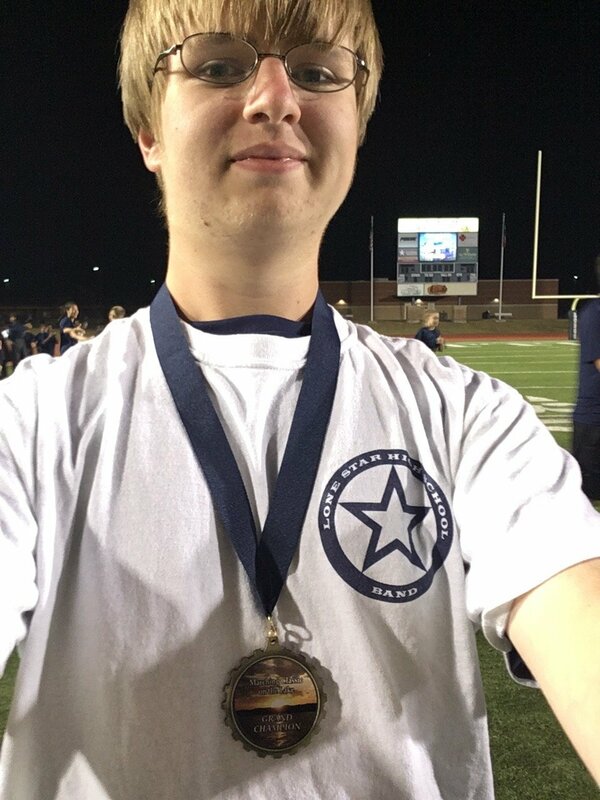 It was the only time Pearsall has ever accomplished that. I have spent the last almost 30 years trying to find a video of our show that year but to no avail. 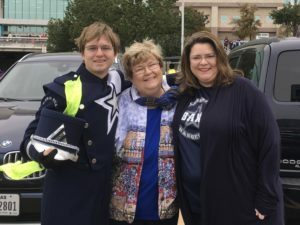 Nonetheless, that was a day I will never forget for as long as I live, and I’m so glad my son will get to travel to San Antonio to compete in his own State Marching Band Contest. 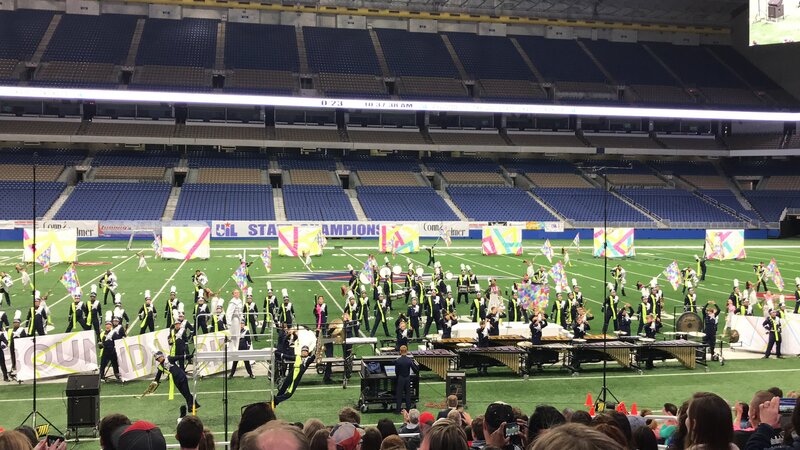 Good luck to the Lone Star Band – you’ll always be first in my heart!!!!! This entry was posted on October 29, 2017, in Uncategorized. We performed this afternoon and just learned we made it into the final 10. We march tonight to see who goes to State! The book fair was this week. Samuel bought a pen that wrote in invisible ink and became visible under the pen’s UV light. Then he went to ILA and did an assignment. He claimed he thought the teacher wasn’t going to grade it. When he turned it in to her, she looked at the paper then back up at him. “There’s nothing here,” she said. “I know. I wrote it in invisible ink,” he replied. She just stared up at him. “I’ll trace over it with a real pen” he said, walking back to his desk. WE ARE GOING TO STATE!!!!!!!!!!!!!!!!!!!!!!!!!!!!!!!!!!!!!!!!!!!!!!!!!!!! We placed 3rd in the finals!!!!!!! Here’s our finals performance. The video quality is low but I might be able to upload it again at higher resolution. State competition is Nov. 8 in San Antonio’s Alamodome! This entry was posted on October 28, 2017, in Uncategorized.